One out of Six people will suffer a Stroke during their lifetime! A Stroke or Cerebrovascular accident is caused by an interruption in the blood supply to the brain resulting either from the bursting of a blood vessel or the blockage of a vessel by a clot. The major symptoms of a stroke include a sudden weakness of usually one side of the face, arm or leg (could involve all at once), numbness, confusion, difficulty speaking or understanding speech; it could also cause a difficulty seeing with one or both eyes; difficulty walking, dizziness, loss of balance or coordination; severe headache with no known cause; vomiting; fainting or unconsciousness. 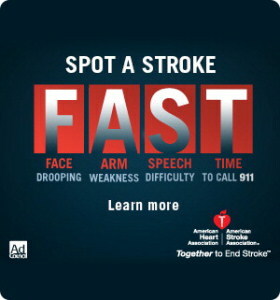 One of the key ways to "save a life" or help facilitate timely medical attention in someone suffering from a stroke is to know what a stroke looks like by becoming familiar with the symptoms listed above. Such knowledge will enable you "act fast" to save a co-worker, friend, or relative. Although stroke risk increases with age, strokes can—and do—occur at any age. To prevent strokes, physical activity and healthy eating play a huge role. Keeping a good watch on vascular disease and stroke risk factors such as elevated blood pressure(hypertension), high blood sugar or diabetes and high cholesterol levels are also very important in every part of the world. Eat a healthy diet: A balanced diet is crucial to a healthy heart and circulation system. This should include plenty of fruit and vegetables, whole grains, lean meat, fish and pulses with restricted salt, sugar and fat intake. Alcohol should also be used in moderation. Take regular physical activity: At least 30 minutes of regular physical activity every day helps to maintain cardiovascular fitness; at least 60 minutes on most days of the week helps to maintain healthy weight. Avoid tobacco use: Tobacco in every form is very harmful to health - cigarettes, cigars, pipes, or chewable tobacco. 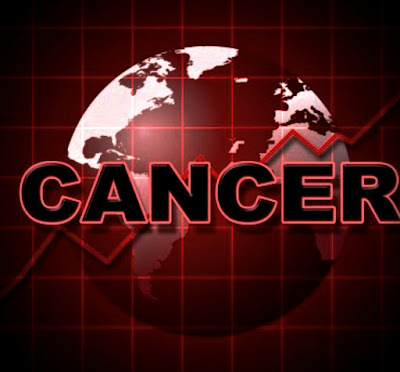 Exposure to second-hand tobacco smoke is also dangerous. The risk of heart attack and stroke starts to drop immediately after a person stops using tobacco products, and can drop by as much as half after 1 year. Smoking cigarettes also raises your blood pressure! Check and control your overall cardiovascular risk: An important aspect of preventing heart attacks and strokes is by providing treatment and counselling to individuals at high risk (those with a 10 year cardiovascular risk equal to or above 30%) and reducing their cardiovascular risk. A health worker can estimate your cardiovascular risk using simple risk charts and provide the appropriate advice for managing your risk factors. Know your blood pressure: High blood pressure usually has no symptoms, but is one of the biggest causes of sudden stroke or heart attack. Have your blood pressure checked and know your numbers. If it is high, you will need to change your lifestyle to incorporate a healthy diet with less salt intake and increase physical activity, and may need medications to control your blood pressure. Know your blood lipids: Raised blood cholesterol and abnormal blood lipids increase the risk of heart attacks and strokes. Blood cholesterol needs to be controlled through a healthy diet and, if necessary, by appropriate medications. Know your blood sugar: Raised blood glucose (diabetes) increases the risk of heart attacks and strokes. If you have diabetes it is very important to control your blood pressure and blood sugar to minimize the risk.